We went back to our hotel and freshened up before heading to Session Road. We had to try one of our friend’s recommended resto, the Pizza Volante Restaurant for dinner. They say it is one of Baguio’s must try. I didn’t find the food stunning though. 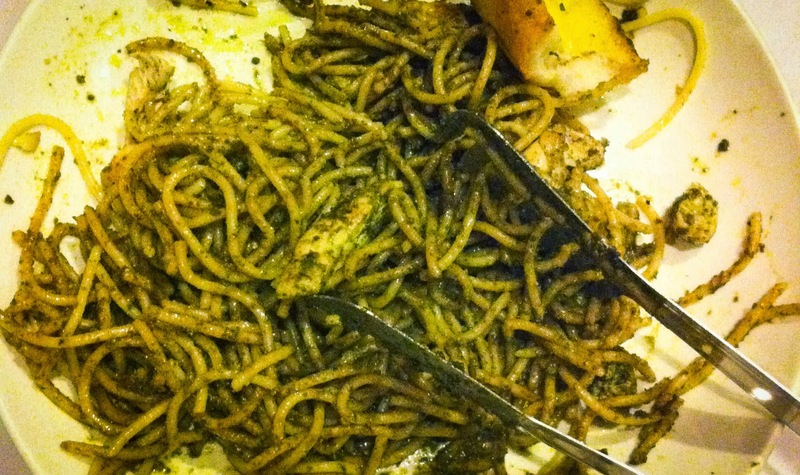 We tried their pesto pasta and pizza, of course. Nothing much I can say about their food. It was just OK.
A little beer drinking before we capped the night off. It was one hell of a first day Baguio experience for us.